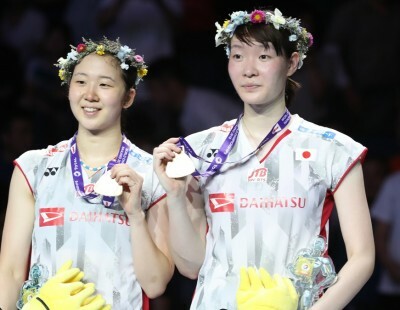 Japan are the new queens of Women’s Doubles! The only question is which pair will wear the crown tomorrow afternoon – Yuki Fukushima/Sayaka Hirota or their fast-rising team-mates Mayu Matsumoto/Wakana Nagahara? 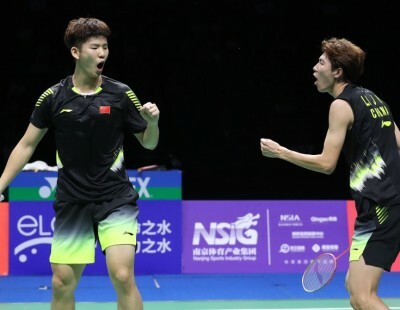 Both partnerships confirmed their places in the title-decider of the TOTAL BWF World Championships 2018 today, winning their respective semi-finals in straight games to trigger early celebrations among their team-mates, entourage and fans. It is the first time Japan – a team that enjoy the luxury of six pairs in the world top 20 – have captured the Women’s Doubles World title since 1977 when Etsuko Togano and Emiko Ueno won at the inaugural championships; further enhancing their credentials as the current powerhouse of Women’s Doubles. 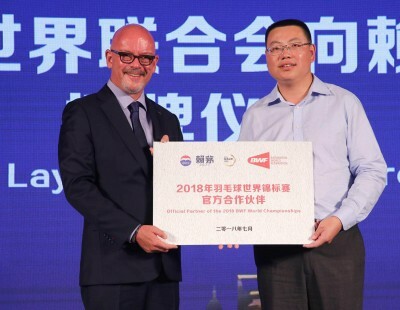 “For me and the chief Women’s Doubles coach, it’s the first time our players have won this title at the World Championships. 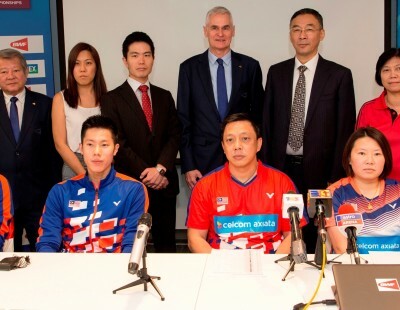 We are very happy,” said head coach Park Joo Bong. 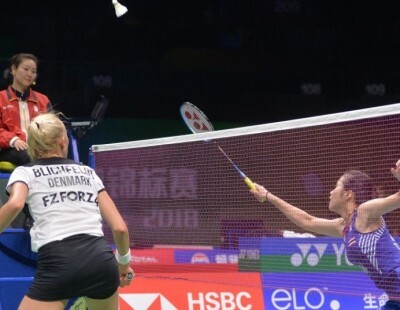 Only Greysia Polii and Apriyani Rahayu stood in the way of what seemed certain success for the Land of the Rising Sun as they took to the court versus Matsumoto and Nagahara. However, try as they did – and they gave it their best shot – the Indonesians were powerless against the attacking tide from across the net. It was fearsome and relentless, with Matsumoto in particular wielding her racket like a hammer from the baseline. She and Nagahara dictated the first game 21-12 and, though they encountered greater resistance in the second – which featured some 50 and 60-shot rallies – the No.11 seeds prevailed on their third match point: 21-12 23-21 in 52 minutes. “Our plans went smoothly in the first game but we had to raise our level in the second game because we missed some shots and our opponents were playing better. We kept attacking because we could not afford to relax,” said Nagahara. 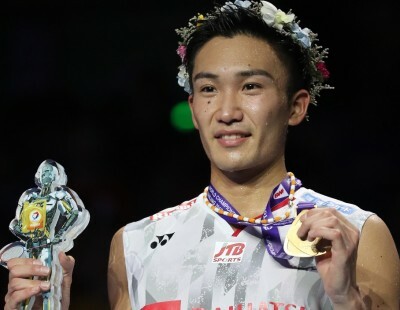 Noting they have improved with every match this week, Matsumoto vowed “we will go all out” in the final and “it would be a great honour if we win the World Championship”. 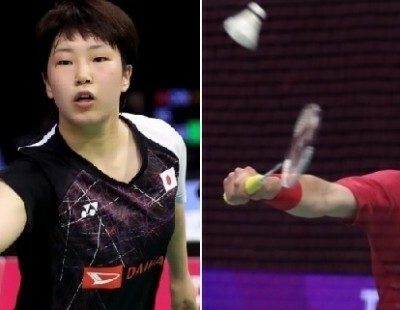 Meanwhile, last year’s silver medallists, Fukushima and Hirota, are keen to upgrade their medal quality, having brushed aside another Japanese tandem, Shiho Tanaka/Koharu Yonemoto (21-19 21-15), to reach tomorrow’s showdown. 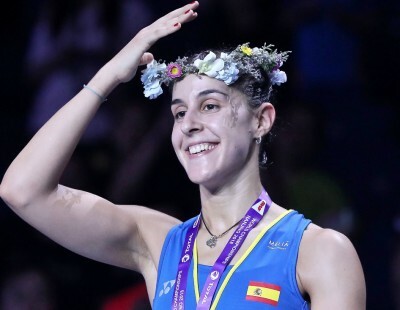 The No.2 seeds, who will return to world No.1s next Thursday regardless of the final’s outcome, are keen to bolster their reputations after a string of runners-up results in top events, including last year’s season finale in Dubai and this year’s All England Open. It would also be a great confidence booster, said Fukushima, adding that they look forward to competing in the “derby final” with their team-mates. 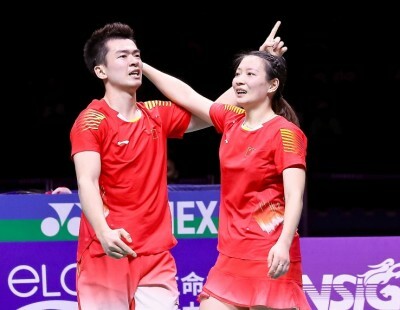 China too began their World Championships party today, sealing the Mixed Doubles title as their top two seeds earned the right to duel for gold and silver. 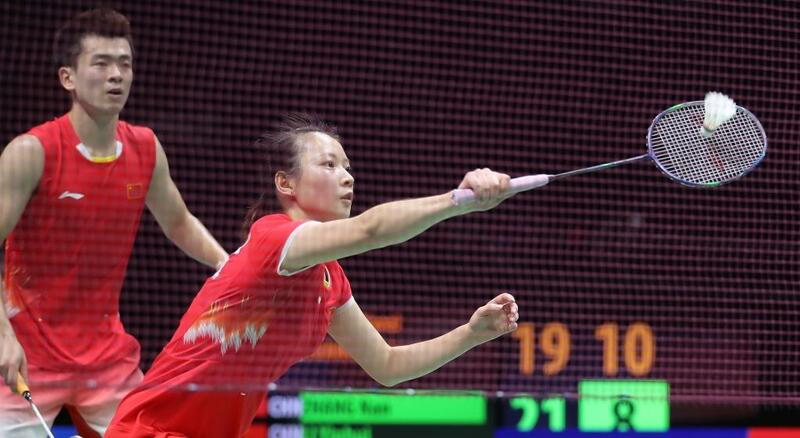 First, Wang Yilyu/Huang Dongping crushed Tang Chun Man/Tse Ying Suet, 21-6 21-10. The No.2 seeds set a hot pace and never let the left-handed Hongkongers settle into the match. “We expected a tough match. We didn’t expect it would be that smooth. Our coach told us to look for opportunities to exploit their left-handed play and we noticed these during the match,” said Wang. 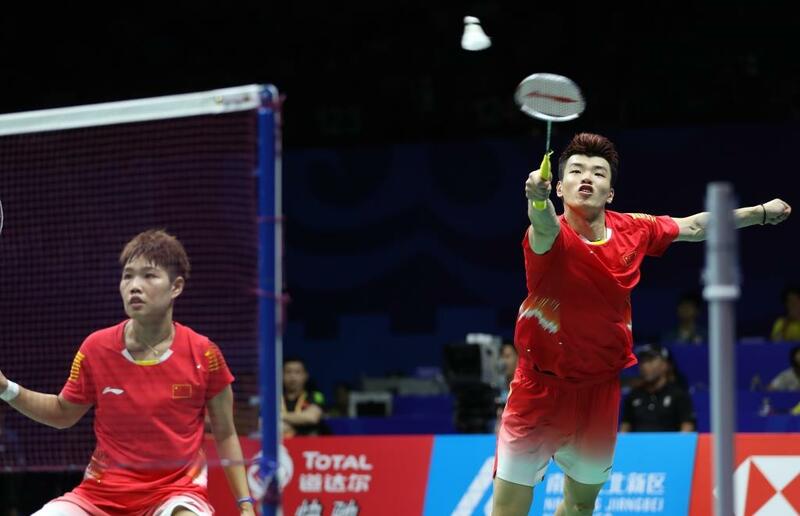 The All-China clash that followed unfolded quite differently with fifth-seeded Zhang Nan/Li Yinhui seizing the lead against last year’s silver medallist, Zheng Siwei, and Huang Yaqiong who became his partner late last season. 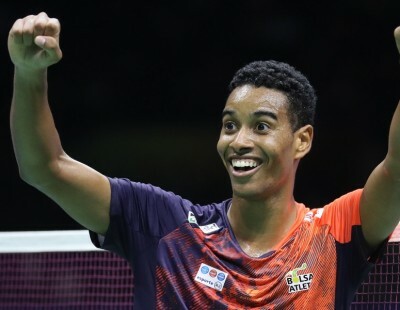 However, the momentum shifted decisively midway through the second game and, from there, the top seeds controlled the proceedings, en route to a 19-21 21-12 21-10 triumph. “The first game was tight. There were areas which we needed to improve and we did. We look forward to the final. 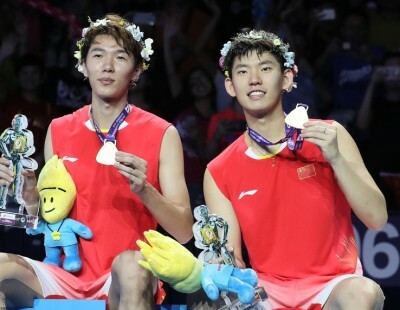 We know Wang/Huang very well and it will be tough to play our team-mates,” said Huang. 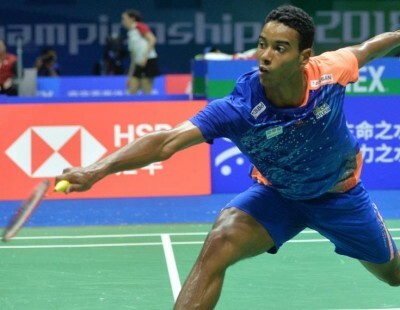 This afternoon’s session closed with a semi-final battle that further underlined the changing sands of Men’s Singles in China. 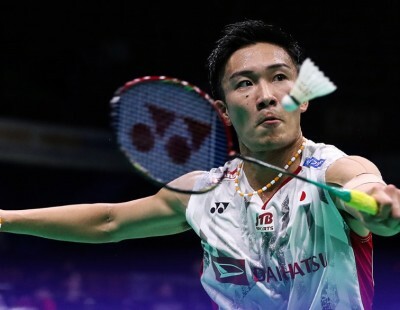 Shi Yuqi capitalised on his quarter-final lifeline to dismiss his senior counterpart, Chen Long, in an impressive straight-games rout: 21-11 21-17 in 44 minutes. 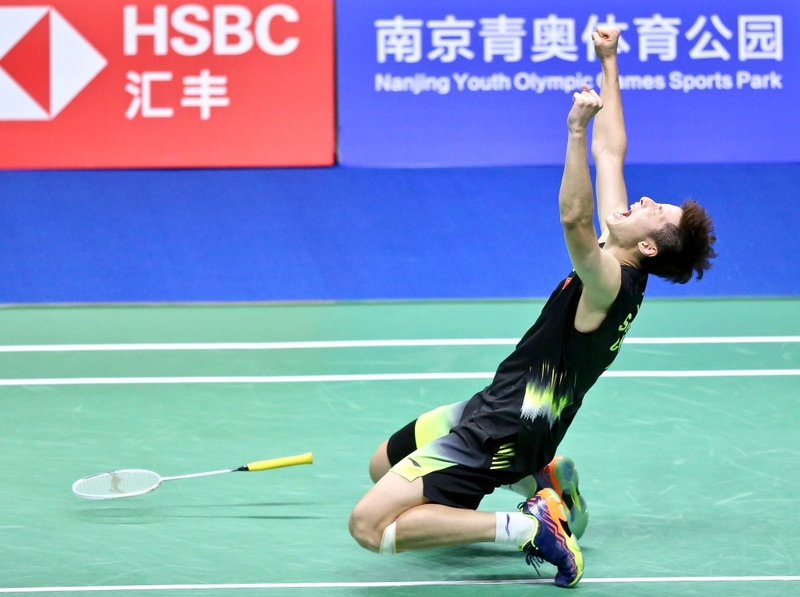 While it was evident that Chen erred on various occasions, it was equally clear that the 22-year-old in his path had the measure of the Olympic champion and was comfortably negotiating whatever came his way. A well-executed slice drop ended the contest as Shi slid to his knees and raised his arms triumphantly. 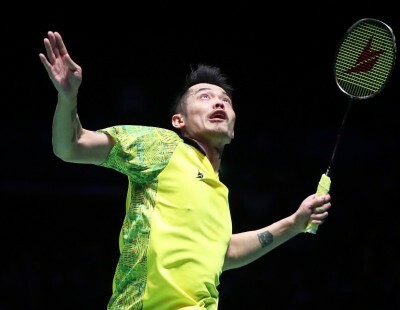 Despite beating the iconic Lin Dan in the third round and now Chen, the No.3 seed was still hesitant to declare himself China’s best player. “I have my advantages but they have their own strengths,” noted the All England champion, adding that he has youth and speed on his side. 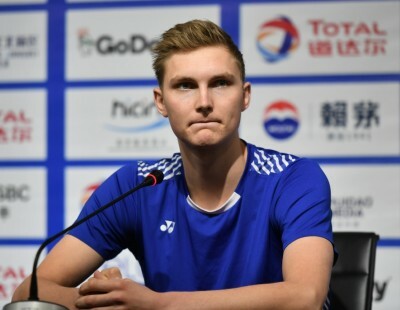 Regarding the challenge of facing Kento Momota in the Men’s Singles championship match, he acknowledged the Japanese is a well-rounded player who is “in good form and who has been very focused” in this tournament. Competing in Nanjing in his native Jiangsu province, Shi is looking forward to great support from a truly hometown crowd.